The Chinese State Circus will be coming to Savile Park from Tuesday 19 September to Monday 25 September 2017. The internationally acclaimed Chinese State Circus returns to the UK with a spectacular new production – DYNASTY. 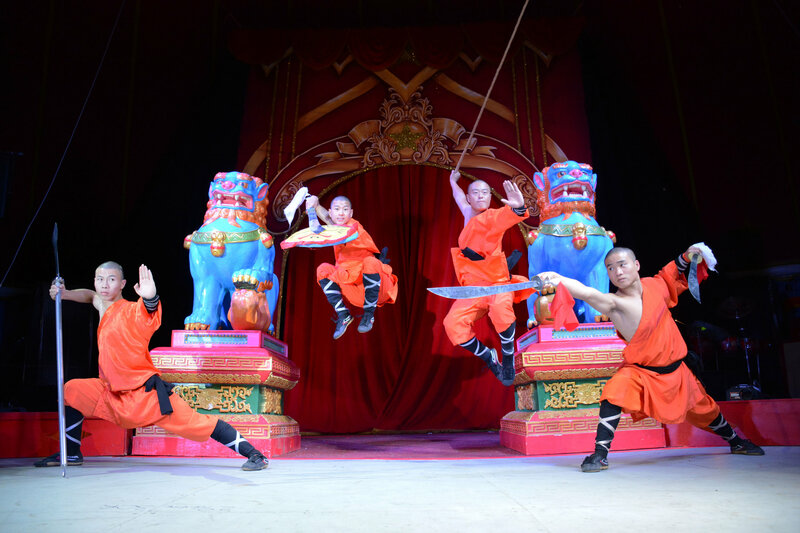 30 world-class Chinese acrobats, aerial artistes, and jugglers interact with the super-human physical skills and dexterity of the masters of martial arts – the legendary Shaolin Warriors. There’s non-stop action from start to awesome finale as thrill follows thrill, and the seemingly impossible becomes a reality. This latest production returns to the pure and honest perfection in acrobatics upon which their reputation is based, creating a show with no gimmicks, no fakes, no retakes, and quite simply the ‘incomparable’ Chinese State Circus.